ACCESS : By road the distance is 115 km from Manali, 188 km from Kaza, 373 km from Leh, 435 km from Chandigarh and 690 km from Delhi. Heavy winter snows cut off road connectivity to the region at Rohtang Pass for six months from November to June. Buses, Taxis are available from Manali in season. HPTDC also plies regular coaches to Leh via Keylong during July - September. Nearest airport is Bhunter, 175 km from Keylong. CLIMATE : Lahaul remains cut-off from outside the world till mid June due to heavy snowfall and closing of Rohtang Pass. There is little or no rain in monsoons. The climate remains dry and invigorating. The days are hot and nights are extremely cold. Heavy / Light woolens are recommended. TANDI (2573m) : 8 km, short of Keylong, on the Manali - Leh Raod, situated on the confluence of Chandra & Bhaga rivers. Last point to tank up if traveling north of Keylong as it has the last fuel station on this stretch. SISSU (3100m) : On the bank of Chandra, 15 km from Koksar, every spring and autumn wild geese and ducks halt here on their way to and from Siberia. GONDLA (3110m) : 18 km from Keylong on the right bank of river Chandra. Famous for ancient Fort. UDAIPUR (2523m) : 53 km from Keylong, home of the Mrikula Devi Temple, which is famous for wood carvings. TRILOKNATH (2660m) : 4 km from Udaipur famous for Triloknath temple. Sacred both for HIndu and Buddhist. SHOPPING : Shawls, Local Tweeds, Caps, Rugs, Footwear, Fresh fruit, Natural oil (olive and almond), Sliver jewellery, Pullovers, Metal craft, Woolen jackets and Bamboo products. Luxury Tax and Service Tax, as applicable, are payable extra on mentioned tariffs. NOTE : The Chanderbhaga suit and family suit are sold inclusive of veg. food vharges @ Rs. 1300/- in family suit and Rs. 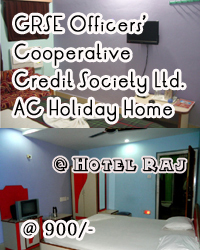 650/- in DBR per room per day.